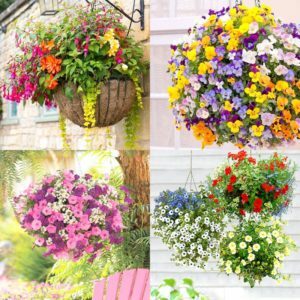 Join us for a hands-on class for designing effective planters and hanging baskets. Go beyond the centered spike and geranium planter to incorporate new plants that integrate height, length, texture, growth habits, and light requirements. Discover new flowers, vegetables and herbs to use for attractive plantings that will thrive from spring through fall! All participants will have a chance to plant and bring home a hanging basket or planter.